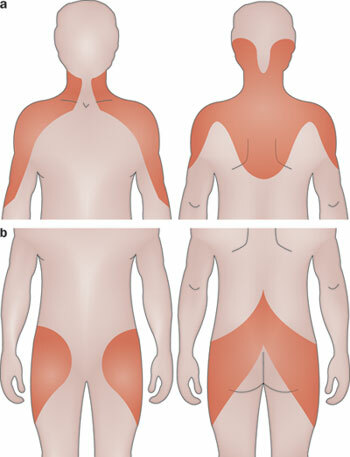 Polymyalgia rheumatica (PMR) is an autoimmune condition that is characterized by proximal muscle pains. The cause is unknown. This can be very bothersome to patients. Elevated ESR and CRP will be present in this condition. *No universal diagnostic criteria: diagnosis generally made clinically in combination with the elevated ESR/CRP values. If the above is not the case, PMR is not likely the diagnosis. Low dose corticosteroids (ex. prednisone) are the treatment of choice. Patients are generally well controlled with steroids. Temporal (giant cell) arteritis is associated with this condition.